There are many reasons we choose to put down roots in a particular area. For some, it may be good schools, an abundance of activities or a civic-minded citizenry. 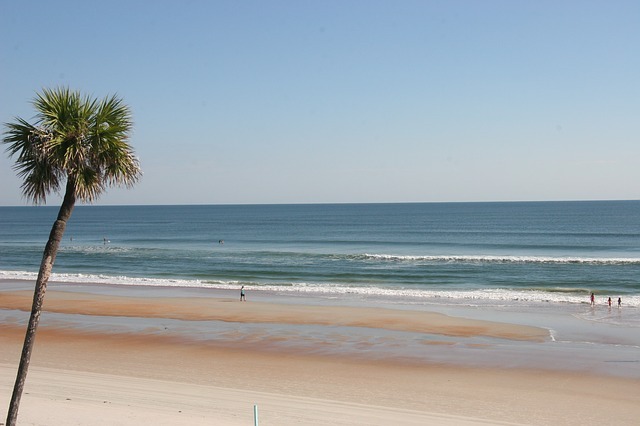 If you're considering the Alabama Gulf Coast for your next home, you're in luck. The sister cities of Gulf Shores and Orange Beach are packed with all these things. And, they are also packed with mouthwatering cuisine that people travel hundreds of miles to experience. Over the last decade, the Alabama Gulf Coast has become a foodie haven. Award-winning chefs who've studied under the likes of Emeril Lagasse and other world-famous chefs produce dishes to die for and have elevated gulf coast cuisine from a basket of fried shrimp to Duck Confit. Don't get us wrong, a great basket of fried Gulf shrimp can really hit the spot, but having options is opens up a whole new culinary world. Farm (and Gulf) to Table. It's a movement that is alive and well in Gulf Shores and Orange Beach. Traditionally a farming county, it's easy for chefs to pick the freshest ingredients available and locally source their vegetables, fruits, seafood and even meats. Variety. Indulge in the BBQ Spiced Swordfish with sweet corn pilaf, crispy Brussels sprouts and lemon caper vinaigrette at Fisher's at Orange Beach Marina. Or, feast on southern soul food like Cola Braised Pork Belly at Luna's Eat and Drink. Foodie festivals and events. 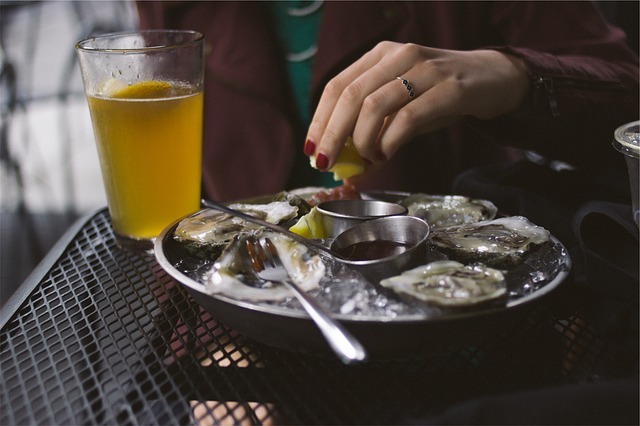 There's always something to do in Gulf Shores and Orange Beach, especially if you're a foodie. The fall season welcomes events including The Hangout Oyster Cook-Off and Craft Beer Weekend, The Wharf Uncorked, Annual National Shrimp Festival and the World Food Championships where more than 400 chefs from around the world compete for cash prizes and bragging rights. During the spring, the Waves of Wine Festival boasts a day of wine tastings, bay cruises and live entertainment. 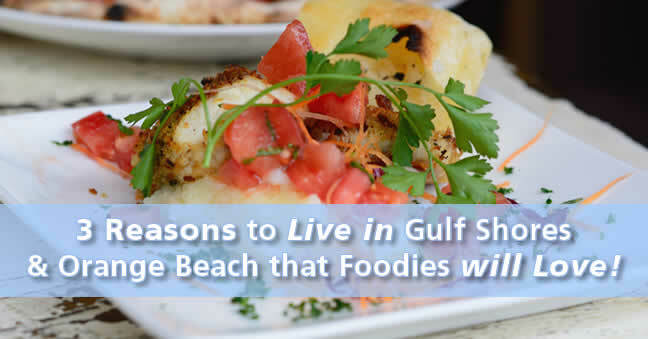 Gulf Shores and Orange Beach offers the full package for foodies, making it ideal for a full-time residence or vacation destination for those interested in culinary travel or just a great meal. 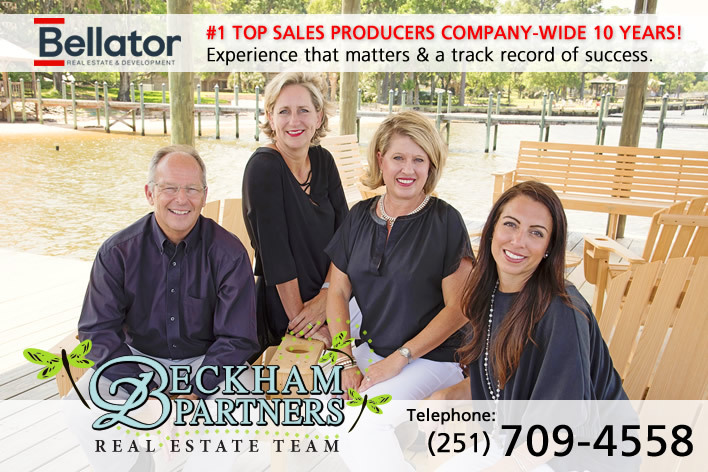 The real estate pros at Beckham Partners can help you find the perfect Orange Beach home for sale or Gulf Shores condo for sale. For the latest listings, subscribe to the newsletter online. Will food be the reason you relocate to an area? Probably not, but it's definitely a plus! Explore unique, popular and authentic gulf coast food spots that can provide you the best food experience. Come and join us on this wonderful journey with food.